I ordered this Zookeeper Prism ABC panel the second I saw it! I had no plans for it, but I was hoping I would be able to cut it up and use it like I did with this Pokey Puppy Panel quilt (still one of my very favorites!). Without much thought I started chopping up my panel, only to realize that the letters are not all the same width…so I would need to change the design. The blocks are all 6 1/2″ tall, but ranged from 6″ to 6 3/4″ wide….so I decided to sew 2″ borders onto the sides of each block, then go back and trim them all up to the same size so I could sew them all together easily. Note: If you are attempting to cut up your panel, cut the letters into horizontal rows first since they are all the same height, then go back and cut in between the letters. When adding the border strips, I cut the side strips first since they were all 6 1/2″ tall, then I cut the top and bottom strips longer than the blocks and trimmed them up after sewing them on to save time. I trimmed all of the blocks up to 9″ wide x 9 1/2″ high, and added the 4 white blocks the same size to each corner of the quilt top. This quilt ends up being a perfect crib size, 42 1/2″ x 54″. My only regret is that I didn’t plan out fabric placement at all…so I wouldn’t have put orange next to orange or stripes next to stripes, but it’s not too noticeable. I purchased my panel from here, (you can find lots of them if you Google it). It’s digitally printed, but from what I’ve read it washes up great, so we shall see! This was a super fast sew…it’s nice to have a quick, satisfying project now and then! Very cute quilt! Had to laugh at your nightmare :)! Love the quilt! Sorry to read you had a nightmare – dreams are always so weird! Easy and cute quilt, but lol about your nightmare. I didn’t know others had nightmares about being back in college and failing! What a cute panel. My college nightmare dreams are always about a math class I forgot to take! So funny we still have these dreams. Simply darling! I was watching your progress via Instagram and am just loving the finished result! Good idea! And if I mix up the letters I can blame it on that! That’s adorable! I might have to make this…since I still have two kids young enough to appreciate one! Cute cute cute! That turned out to be a really neat quilt! Nightmares are a pain is the…neck! with your comment regarding it being digitally printed but hopefully will wash well. Is this an issue we should be paying attention to? Do digital prints require special care? 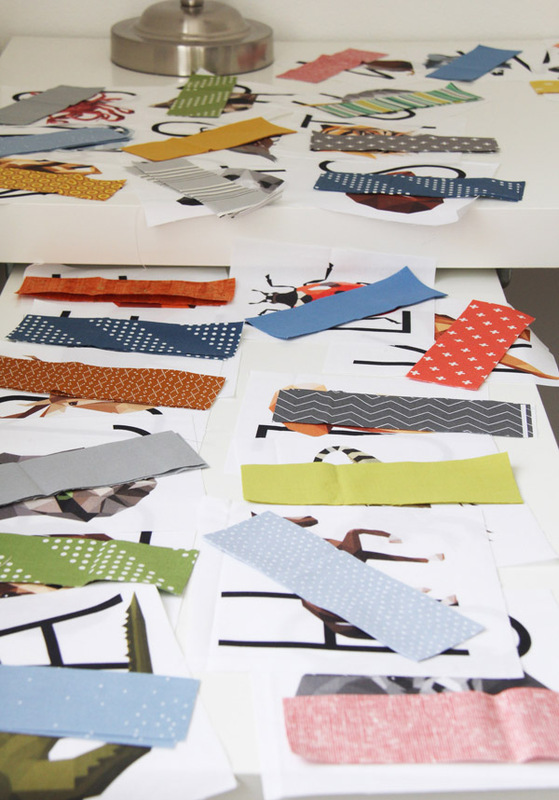 No digital prints don’t require any special care….and I’ve used digital prints that sew and wash better than my regular cotton fabrics I buy on the bolt. Spoonflower and Hawthorne threads are some of the bigger companies selling digital prints that are high quality. So I think it just depends on the company that is printing them. This one is printed by Hoffman fabrics so I trust it just as much as some of the fabric I’ve purchased from Spoonflower. 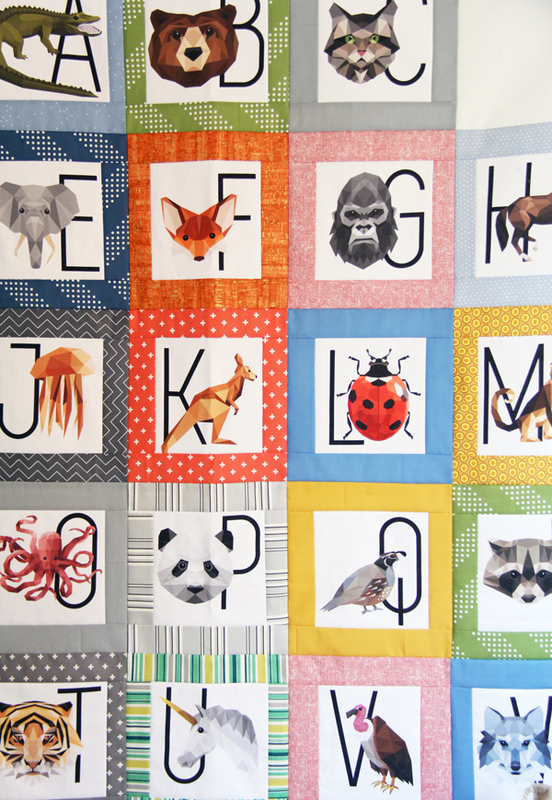 This turned out really pretty, and now you have a quilt to remind you of the alphabet. In my dreams, I don’t even know where the classes are or what time, so I wander around looking for one that “looks right!” but I can never find it because I don’t know what my teacher looks like! 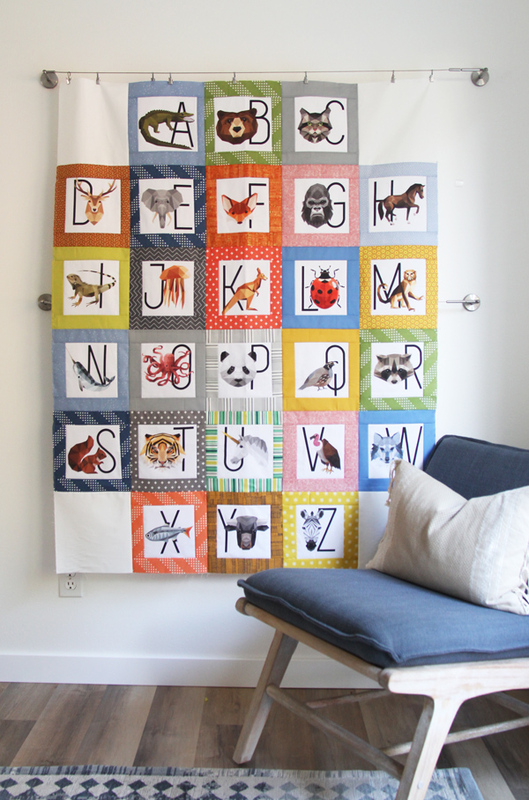 Alison, this is such a clever looking quilt! Bravo! That is a funny dream. And a nice quilt! Such a cute quilt! I had a good laugh about your nightmare. I rarely have bad dreams, but occasionally I still have teacher nightmare dreams in August. Maybe your quilt-inspired nightmare is a similar occupational hazard? I’ve been retired for 5 years, but I’m guessing you will never retire from quilting, thank goodness. Thank you for posting about your cutting error, and how you just figured out a work around and kept moving. That’s a good quilt lesson and a good life lesson – things won’t always be what you want, make the best of it and keep going.